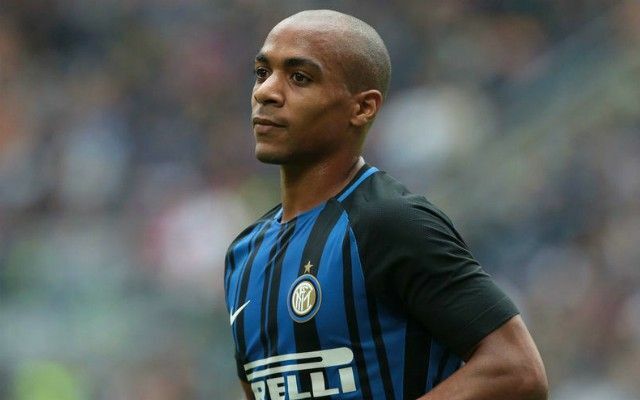 Man Utd boss Jose Mourinho has reportedly set his sights on Inter midfielder Joao Mario as a player to arrive at Old Trafford if Henrikh Mkhitaryan joins the Nerazzurri. The first question that must be asked is, is it a good move? The 24-year-old has struggled to establish himself with the Italian outfit, albeit he’s provided five assists in 13 Serie A appearances this season. However, he hasn’t fully convinced since arriving at the San Siro last year, scoring three goals in 45 outings, and he hasn’t always been a regular in the starting line-up. With The Sun claiming that Man Utd could submit a £40m bid, it’s questionable as to whether that’s good business, even though they will have to bring in reinforcements if Mkhitaryan leaves, as noted in the report. The Armenian international has struggled too since his big move from Borussia Dortmund, going from a player who had 23 goals and 32 assists in his final season in the Bundesliga to just 13 goals and 11 assists in a season-and-a-half at Old Trafford. In turn, if a decent offer were to arrive for him then perhaps Mourinho and United should consider it, but question marks remain over whether or not Mario is the right man to come in and help strengthen the squad. What does stand in his favour is his versatility as aside from his more natural role as an attacking midfielder, he can also play a little deeper and out wide. With question marks over the futures of Michael Carrick and Marouane Fellaini who are both on expiring contracts, perhaps it would be a sensible idea to strengthen in that department where possible. However, competition for places is fierce at Man Utd in the attacking positions with the likes of Jesse Lingard, Anthony Martial, Marcus Rashford, Juan Mata and others battling for places, and so it could be argued that Mario is an unnecessary purchase even if Mkhitaryan does leave as there’s no guarantee he would offer more than those mentioned above.